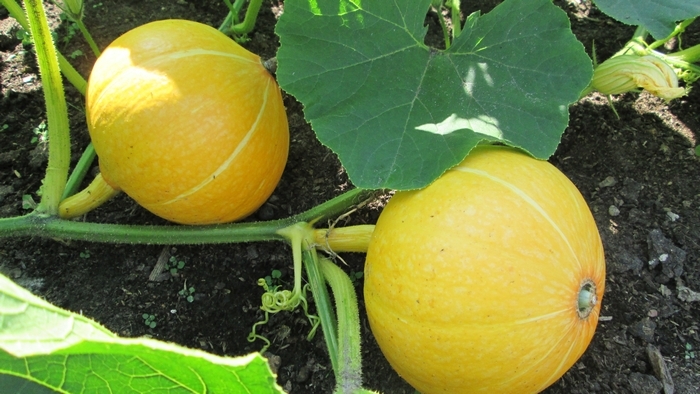 We have several pumpkinplants in our veg allotment and harvested the first pumpkin (squash)! 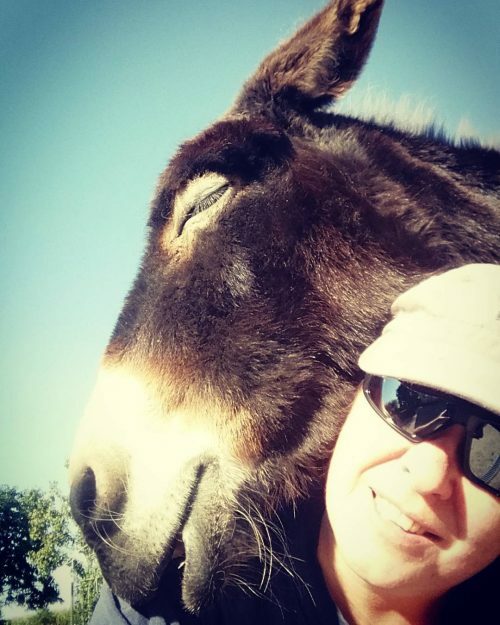 And there are plenty to follow, in different shapes and sizes. 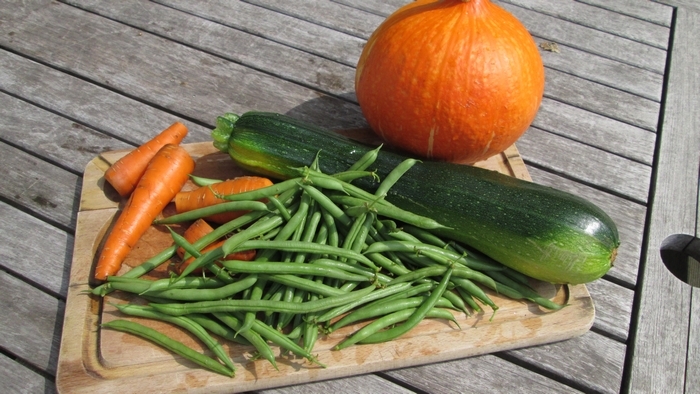 We also have zucchinis, carrots, green beans (haricots), potatoes, parsley and cilantro in our garden. Perfect match for a North African stew or tajine! 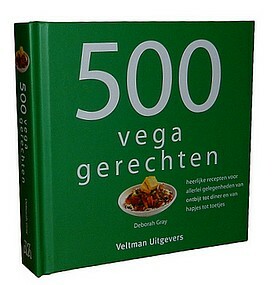 Recipe is based on ‘pompoen abrikozen tajine’ in the little cookbook by Deborah Gray: “500 Vega gerechten“. 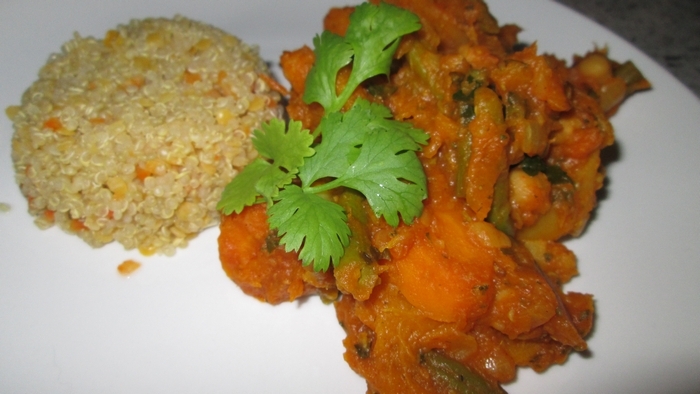 A translation from the English cookbook “500 vegan dishes“. I love this little cookbook! I’ve only prepared a handfull of recipes from it so far, but it’s very user friendly (a handy pocket size format) and the recipes don’t call for too obscure ingredients (not often anyway). The recipe calls for a bottle shaped pumkin (like a butternut), but my butternut pumpkins in the garden weren’t ripe yet, so I used a Red Kuri. Red Kuri also has firm, dark coloured pumpkin flesh and tastes just as good imo. In the cookbook, it says this recipe is for 4 persons. But it was way too much for 4 persons. The remaining portion was enough for two of us to eat again. So this recipe will serve 6 persons. 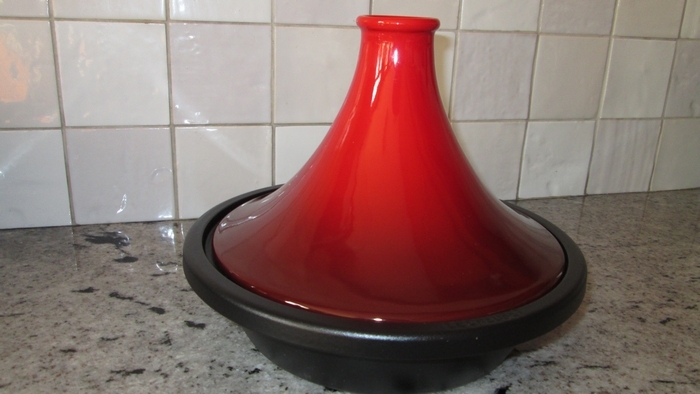 We do have a tajine (a normal sized one), but when prepping the ingredients, I could already tell they wouldn’t fit into the tajine. Too much! So I used a large wok pan, and put a lid on it. It was just as tasty! Will definitely be making this dish again. Really nice, sweet (bc of the apricots) and good combination of herbs.